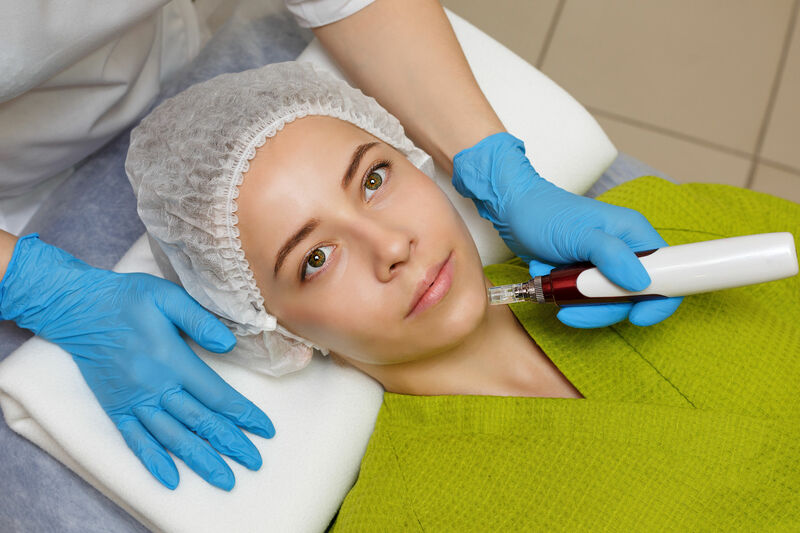 Microneedling - What is it? And How does it Work? | Peace. Love. Med. 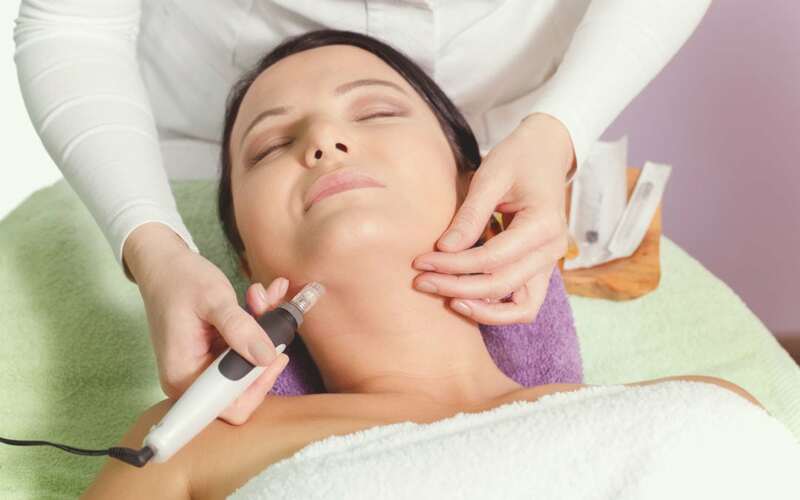 Microneedling, also known as collagen induction therapy, is a minimally invasive treatment that rejuvenates the skin. The device used for this procedure utilized fine needles to create tiny punctures in the top layer of the skin and radiofrequency to stimulate the dermis layer. In doing so, the body is triggered to generate new collagen and elastin. Results typically include improved texture and firmness, along with reducing scars, pore size, and stretch marks. The age of clients receiving the procedure range from their 30s to 70s. Generally, three consecutive procedures give excellent results, but improvement does occur after one treatment. It can be combined with other methods like platelet-rich plasma (PRP) or vitamin serums to assist those ingredients to absorb into the skin. There are several popular microneedling products available to use including roller needles like Derma Roller, microneedles with RF like EndyMed and Vivace, and the one you’ll find within our office, a pen needle like Dermapen. What Should You Do Post-Procedure? Because the microneedles puncture the skin, the affected area will instantly bleed. It would be a shame to spend all your time and money in healing your scars and aging lines without taking care of your skin outside of your office. Like most treatments, at-home care is crucial to maintaining healthy results. That will include a hearty diet of copious amounts of fruits and vegetables. The intended results include improved skin texture and tighter skin, and reducing acne and regular scars, lines, wrinkles, and stretch marks. The punctures that clients experience from the dermapen is how the procedure evens out the skin to support elasticity and collagen growth. Dermapen ruptures a portion of the cells inducing a new production of collagen in a more uniform pattern unlike previously. The microneedle procedure is being performed more and more with each passing day, and it’s no surprise considering the immediate improvements. At Peace Love Med, our office provides these service to our long-time and newly committed customers exclusively in Boca Raton. Potential clients seeking these aesthetic procedures will be pressed to find services as top-notch as ours. Please give us a call today if you have any more questions and would like to schedule a consultation!